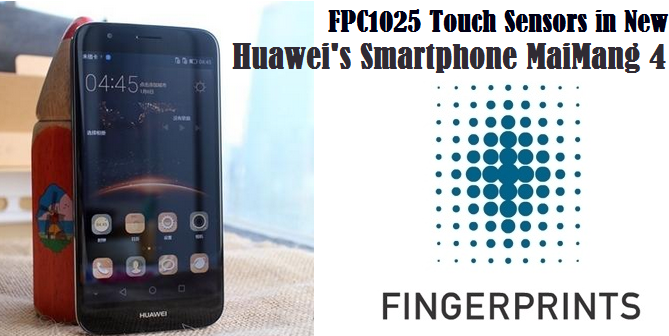 Huawei’s Smartphone company launched new MaiMang 4 smartphone deployed with FPC'S touch sensor FPC1025 .After the great success in telecom market of Huawei Honor 7 Android Smartphone and Huawei Ascend mate 7 with FPC1020 touch sensors, Huawei’s add touch fingerprint sensor features on new brand Android phone . 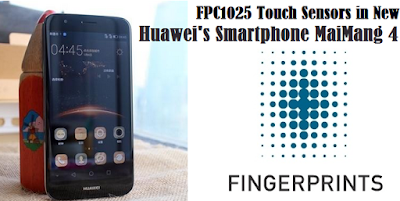 Huawei already received as well as expected revenues in 2015 that relate to sales of FPC1025 for this smartphone model are included in FPC’s communicated revenue guidance of approximately 2,200 MSEK for 2015. Earlier this week, FPC announced that its FPC1150 touch fingerprint sensor features on China’s OnePlus latest Smartphone OnePlus 2. News SOURCE Fingerprint Cards AB.